Aren’t Menstrual Cups Expensive for a Piece of Plastic? Something that many people ask is whether or not menstrual cups are expensive. For a small piece of plastic, $30-40 is a lot. It can be a big factor in whether or not someone buys their first menstrual cup. If you’re on a strict budget, it can seem like a lot of money. But when you consider beyond the very short-term, it’s actually quite cheap and it makes a good investment, not only for your bank account, but for the environment as well. 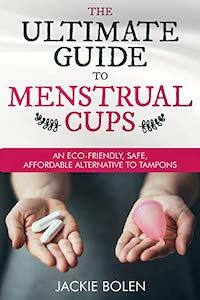 Keep on reading for more details about whether or not menstrual cups are expensive. Also find out how to make sure your menstrual cup lasts as long as possible. Pads and Tampons are Expensive Too! Consider the cost of pads and tampons and that each cycle requires perhaps one box of each at $5/box. You can spend even more than this if you have a long and/or heavy period. Compare this to the cost of a menstrual cup. You’ll have broken even in 3-4 months by making the switch. Then you have years of menstrual cups use beyond that. You might be worried about bleach and pesticides with regular tampons so have made the switch to organic tampons. These are even more expensive-sometimes up to $10 a box. You can use menstrual cups like the Diva Cup for at least a year, if not significantly longer. If you get something like the Keeper, a menstrual cup made from latex, it can last for 10 years or even longer. Over the medium and long-term, your savings potential is enormous! Here’s how you can get your menstrual cup to last as long as possible to save even more money on feminine hygiene. Remember that in order for your menstrual cup to last as long as possible, you really need to look after it well. See: Menstrual Cup Cleaning for recommendations on how to do this. You could also consider using the Diva Wash to clean your period cup in as gentle of way as possible. If you don’t wish to buy another product, make liberal use of soap and warm water. Just be sure to use a mild, water-based soap and not any sort of harsh cleansers. Most importantly, store your period cup in the little cloth bag that likely came with your cup. Whatever you do, don’t store it in an airtight container! This is the fastest way to ruin a menstrual cup. At the end of your period, you can deep clean and sterilize your menstrual cup by boiling it in a pot of water on the stove for around 5 minutes. Just be sure to keep an eye on things and don’t let the cup stick to the sides of the pot, or let the pot boil dry. This is another easy way to ruin a menstrual cup. 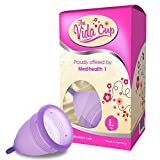 The good news is that these days, there is an even bigger selection of menstrual cup widely available on places like Amazon. The Anigan Evacup: manufactured in the USA, it comes in a variety of colors and is cheaper than some of the other cups by $5-10. This is particularly true if you can find someone to share with. In general, it’s one of the cheapest menstrual cups that is made in the USA. For whatever reason, the Anigan EvaCup is most often sold in a pack of two. Nobody really needs two cups, so find a friend for some serious value. The Eva Cup has thousands of positive customer reviews and a great overall rating on Amazon. People find this menstrual cup easy to insert and remove, and also that it doesn’t seem to leak. You can check out the Anigan EvaCup on Amazon today. Prices are very competitive, shipping is free with Amazon Prime, and you’ll have the full selection of styles, sizes and colours available to you. The Lena Cup: an affordable menstrual cup, this one has one of the highest ratings among menstrual cups on Amazon. It’s also made in the USA and although it’s a newcomer to the scene, it’s here to stay. Check out the thousands of excellent reviews for yourself on Amazon. The Lena Cup is available in two models: regular, and and sensitive. The regular Lena Cup is considered to be a firm menstrual cup, which makes it a good choice for a beginner. It should just pop open easily when placed inside your vaginal canal. The Lena Sensitive is for people who find stiffer menstrual cups uncomfortable, as it is quite soft. The downside is that it can be a bit more difficult to insert, which is usually why we don’t recommend it for beginners. You can easily get the Lena Cup on Amazon. Prices are very competitive, shipping is free with Amazon Prime and you’ll have the full selection of sizes and styles. The Dutchess Cup: in an interesting piece of marketing, this company also sells 2 cups together on Amazon. However, nobody really needs two menstrual cups! But, if you can find a friend or family member to share the package with you, it turns out to be one of the cheapest period cups on the market today. Although it’s made in China, it does appear to be a solid menstrual cup that most people are pretty happy with. Most of the negative reviews on Amazon appear to be about menstrual cups in general, and not specific problems with this product. The Dutchess Cup is a top-quality cup at a very reasonable price. It’s one of the cheapest menstrual cups that I’d still consider putting into my own body! To answer the question, “Aren’t menstrual cups expensive?” The short answer is no! Not really, if you consider beyond the extremely short-term. You’ll come out ahead in 3-4 months when you consider the cost of pads and tampons, especially if you use organic pads or tampons. Most people, particularly those with heavy periods use one box or tampons, and one box of pads each month. If each box costs $5 (that’s a low figure! ), then it’ll be $10 per month in feminine hygiene products. Compare this to even the most expensive menstrual cup, the Lunette cup at around $30. After only three months, you’ve broken even. Considering the fact that you can use menstrual cups for at least two years, it’s clearly cheaper to go this route. That’s not even to mention the health benefits, as well as being much better for the environment. Are menstrual cups expensive? Leave a comment below and share your thoughts with us. What about Cheap Menstrual Cups From China? Are Menstrual Cups Expensive? Yes, in the very short-term when compared to pads or tampons. That’s why you may be tempted to get one of the cheapest menstrual cups that are usually made in China. You can find them on Amazon for around $5-10 a cup. Most people are pretty unhappy with these cups and after a couple of months, end up switching back to tampons, or buying a better quality menstrual cup. Think about this: you put a menstrual cup inside your body for up to a week each month. Do you really want one that is made from materials that are not medical grade? Avoid the cheapest menstrual cups and stick with a higher quality, but still affordable one like the Lena Cup, or Anigan Eva Cup. To save a bit more money, why not consider reusable cloth sanitary napkins. They usually come out at around $5 per pad and they can be reused for years and years. You can get organic cloth pads, but they are quite a bit more expensive. If you’re on a budget, stick with the much cheaper, regular ones. Just be sure to wash them before use. Check out our top-rated reusable cloth pad, the Wegreeco Bamboo Reusable Sanitary Pads. They offer some serious protection at a fraction of the price of disposable sanitary napkins, when used for at least a couple of months. This is especially true if you have a heavy and/or long period. You can buy the Wegreeco Bamboo Reusable Sanitary Pads on Amazon today. Shipping is free with Amazon Prime, and prices are very competitive. Are menstrual cups expensive? Leave a comment below and let us know what you think. Would you consider buying a cheap menstrual cup? Or are you sticking with the more expensive popular brands.